The next edition of the Kingpins trade show in Amsterdam – to be followed this year by Hong Kong in May and New York in June - will kick off on 17th April at the Westergasfabriek, a former industrial site transformed into an event and conference centre. As usual, the show will start in the Westergasfabriek lecture hall with ‘Kingpins Transformers’, a day of conferences and debate focusing this time on the topic of traceability. The same theme will be featured at the show's Hong Kong and New York sessions. The conference host, Kingpins founder Andrew Olah, will assess industry-wide innovations and recent developments, from fibre to the finished product, designed to make denim apparel more traceable. “A crucial issue, which cannot be a mere buzzword, and one which textile companies will need to confront if they don’t want to be flayed alive,” said Olah. The debate is scheduled from 9.30 am to 4 pm, and will be attended by the industry’s top names, among them Robin Cornelius (founder of Product DNA), Buxton Midyette (Vice-President Marketing and Promotions of Supima), Tricia Carey (Global Business Development Director of Lenzing Fibers) and Frouke Bruinsma (Head of Corporate Responsibility at G-Star Raw). The speakers will discuss various approaches to traceability and the challenges the industry is facing. On 18th and 19th April, the trade show proper will take place, featuring about one hundred exhibitors, including Invista (owner of the Lycra and Cordura brands), Tonello (Italy), YKK (Japan), the US Group (Pakistan) and Indigo Istanbul. The two exhibition days will also feature a programme of conferences and seminars, focused more on denim products and notably on the Autumn/Winter 2019 trends, as well as on new Lycra product solutions and technologies. 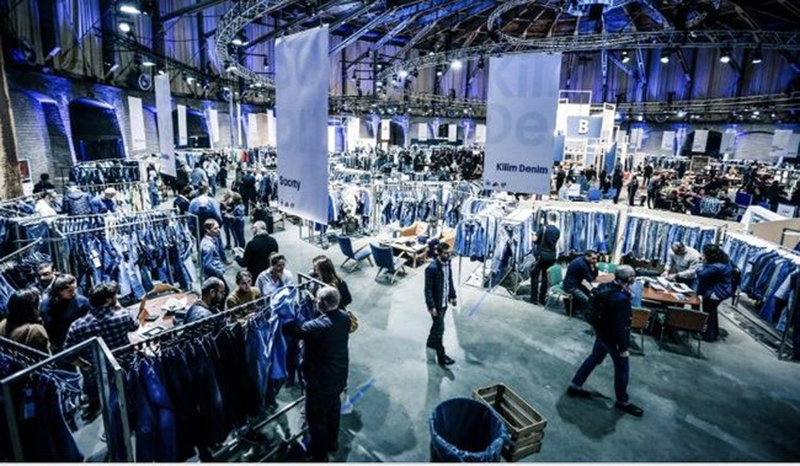 Another date for the agenda is 27th-28th October, when Amsterdam will stage Denim Days, the marquee denim industry event featuring all the major denim labels and a wealth of exhibitions, workshops, gigs and shopping opportunities throughout the Dutch capital.